Recently I saw an adorable ombre counted cross-stitch piece, and thought it would be fun to make my own non-cross-stitch version. 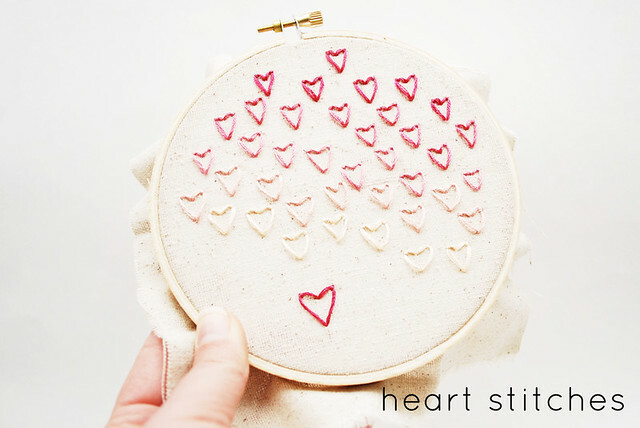 Each little heart that I've made is just two stitches, so it goes very quickly. 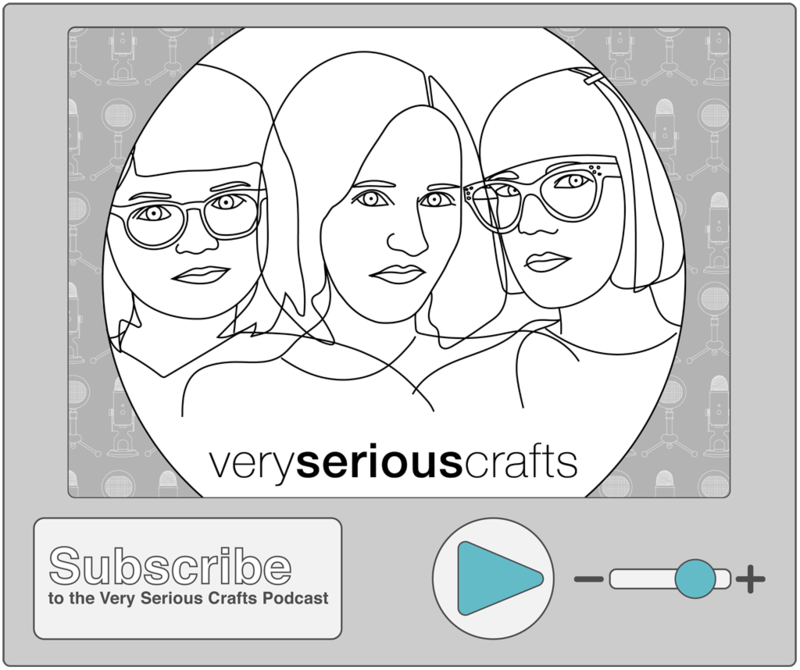 Once I got started, I knew that this would be a lovely little project to share with you! 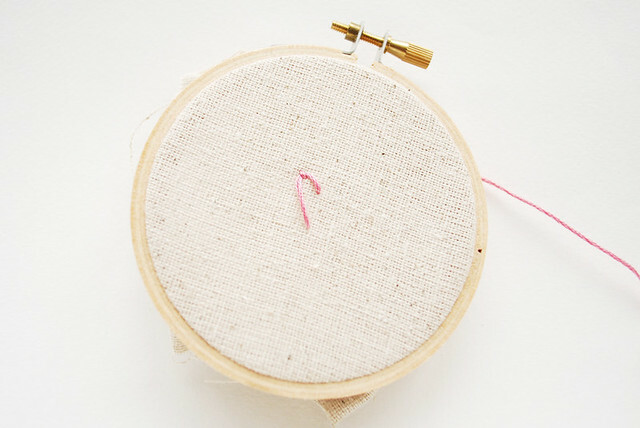 It's such a fun way to spontaneously stitch! Come up from the back, then go back down about 1/4 to 3/8 of an inch above where the thread came up. Don't pull it tight yet! Bring the needle back up again just a bit higher and to the left of where the the first stitch went down through the fabric. 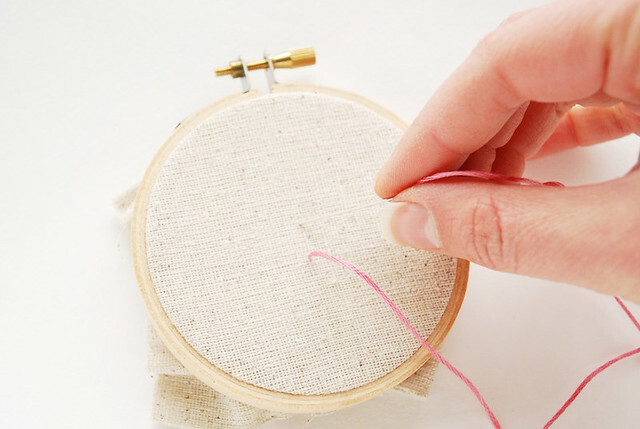 Be sure to catch the loose loop of thread with your needle. 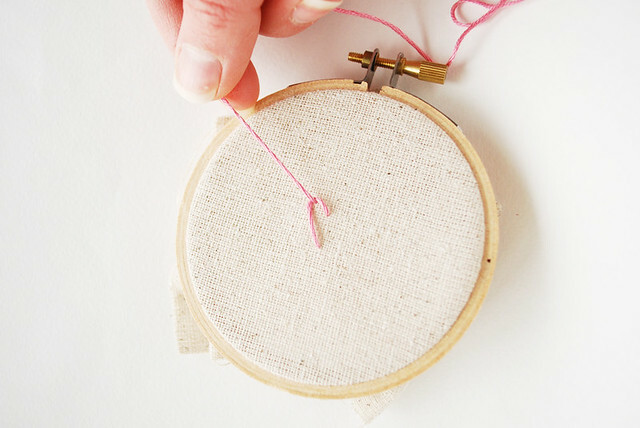 Pull the thread to the left, tightening the loop. 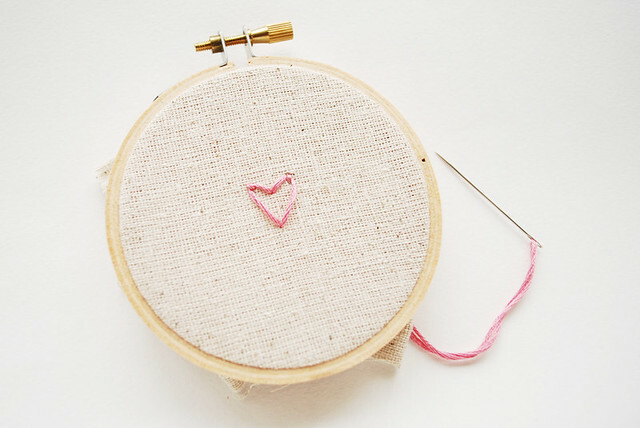 Go back down through the fabric, making a little stitch that will hold this half of the heart. 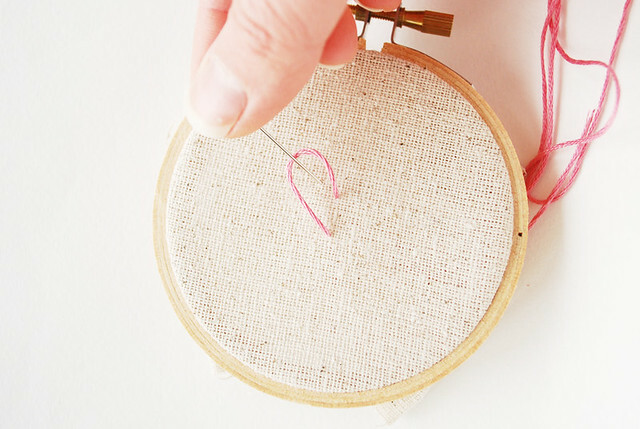 As you're working these, try to keep the twist of the floss the same throughout. They'll look much tidier that way, but even if some are untwisted, they'll still look sweet! This is really cute, I like the haphazardness of the hearts layout. 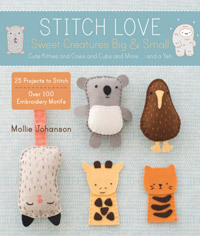 If I could stitch I'd totally try this out. How cute! Thanks for the instructions! 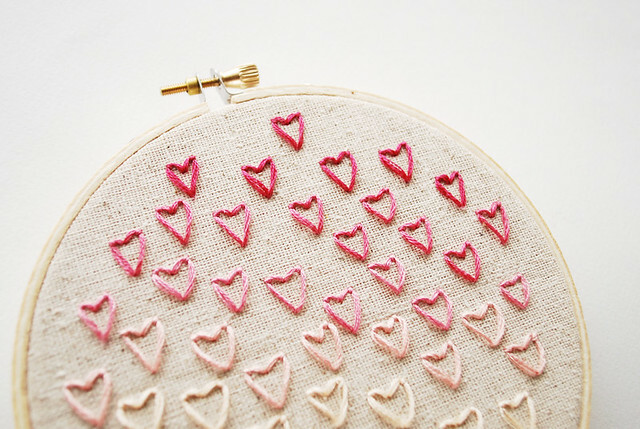 What a great way to stitch a heart! I can't wait to try it. I love this! 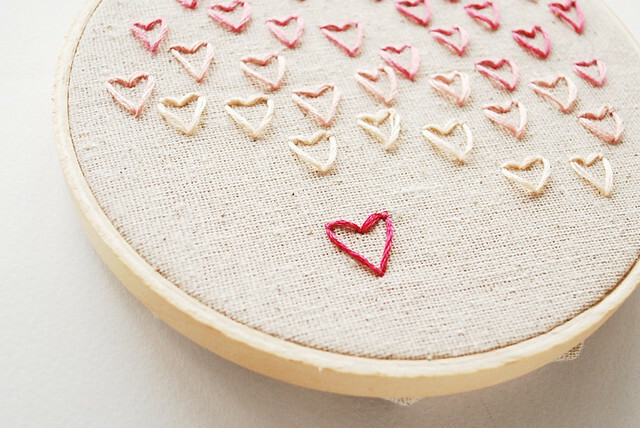 I've just started my first little embroidery project--these hearts will have to be added to my next project. 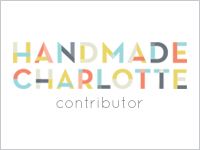 I just ran across your blog and I'm loving it! Oh, I love your design. 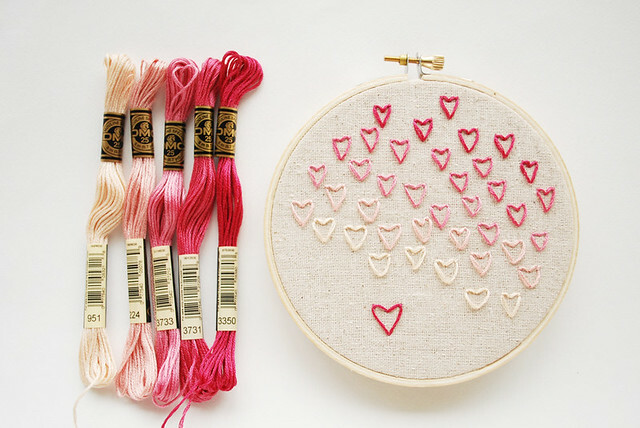 I want that little embroidery for my wall. I just love this! It's simple but very special. It would make a great heart-day gift. I like the ombre technique too. Thank you for sharing! Awesome, i will try this ! I love this! Simple & Sweet. 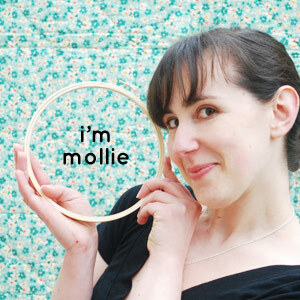 Thanks for linking to my cross stitch, Mollie! 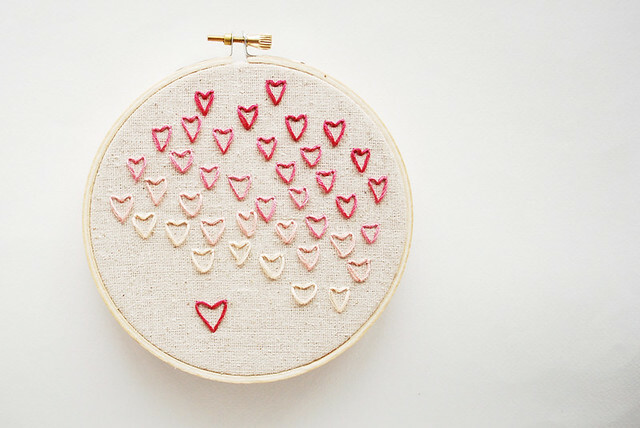 I love your embroidered hearts - thanks for sharing! I LOVE this! So pretty! Thank you for sharing it with us! I just saw it on Babble, too and came right over to tell you :) Yay for YOU! So so so sweet. :) love them. So cute. I love these. Thank you for sharing. Thank you!!! I'm reacquainting myself with embroidery, and wanted something to fit in with the lazy daisies and running stitch. 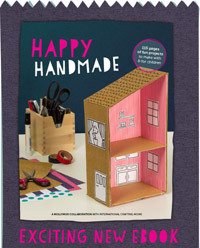 Easy and cute - my daughter loves it! This is so adorable! Thanks for the help! 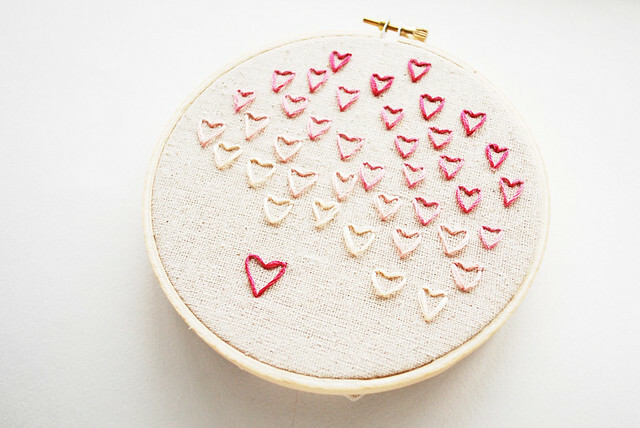 these are lovely hearts,thanks for sharing their simplicity.